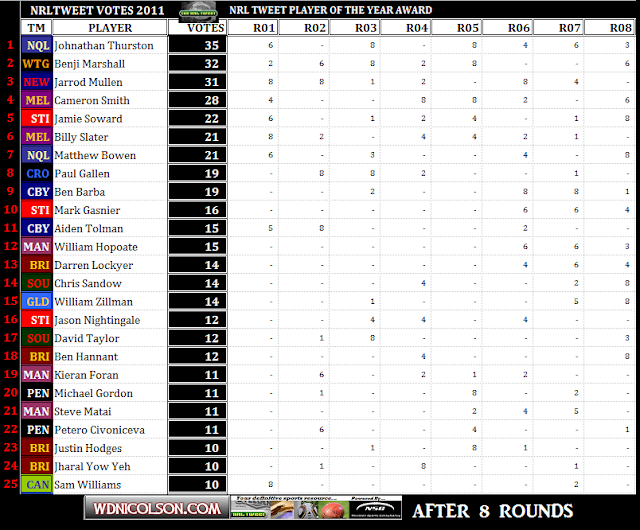 NRL Tweet Player of the Year Votes are added as awarded. After a short hiatus here at www.wdnicolson.com - the best NRL Preview on the net is back online with all the info you need to make an 'informed decision' in your Fantasy and Tipping Competitions. Grab the Panel's Tips below, Download the Podcast and be sure to check back on Friday for the Latest Mail as it breaks. NOT The Footy Show Episode 57 - April 21, 2011. Round 8 Preview - 2011. Join Matt, Dave, Nic and Waz plus regular guest Maria Tsialis from Big League Magazine and Eyes as we preview Round 8 of the 2011 NRL Premiership. Looking forward to mildly entertaining you in 2011 from the NOT The Footy Show Team. NOT The Footy Show Episode 58 - April 28, 2011. 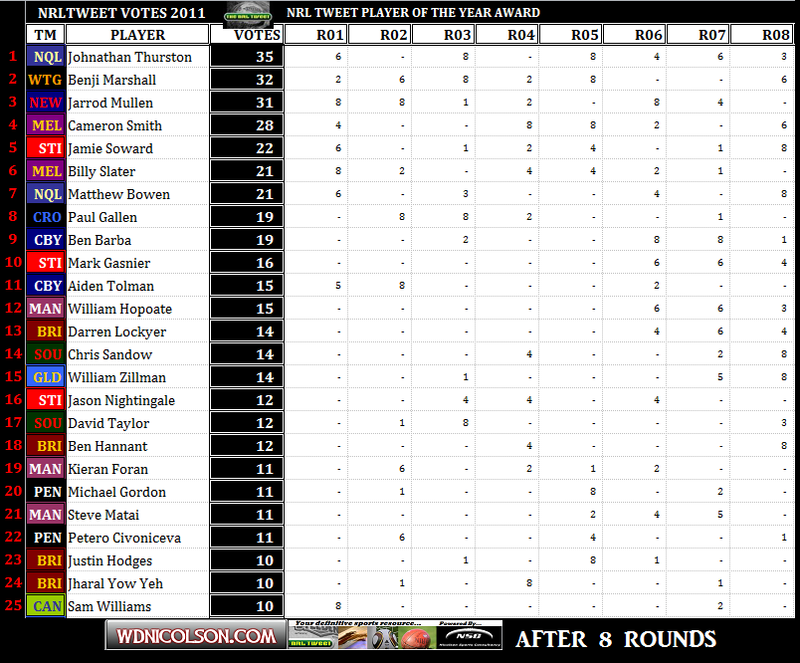 Please Note: Due to leave, the NRL Tipping Preview for Round 7 is very short and to the point. The Full Preview will return next week for Round 8. For your Late Mail check out the Sydney Morning Herald. In the mean-time check out the Podcast for the reasons why we've tipped who we've tipped this week. - Nic; Dragons, Waz: Storm, Matt: Sea Eagles, Dave: Knights. 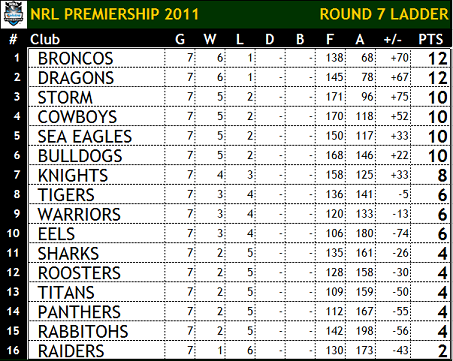 Round 7 Preview - 2011. Join Matt and Waz plus regular guest Maria Tsialis from Big League Magazine as we preview Round 7 of the 2011 NRL Premiership. Shorter show this week - we'll have Dave, Nic and Eyes back for Episode 58!